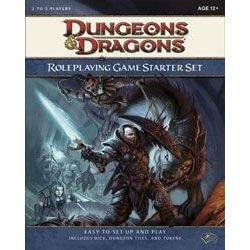 Dungeons and Dragons is a very popular medieval board game. Medieval board games provide an enlightening look into medieval times. There are many games to choose from, whether you enjoy games played during medieval times or role playing as a medieval character. Medieval board games range from the simple peg board type games which captured the attention of players during the middle ages to the very complex strategic and role play games that capture the attention of today's board game players. Game historians have discovered many wooden board games which were widely played during medieval times. Some of the games are believed to have originated in Egypt, being brought to Europe by sailors and soldiers. Other games were created in Europe and were the forerunners to several popular modern day board games. This peg board-based board game is probably the most popular of the medieval board games. It was first played by the ancient Egyptians. The game was particularly enjoyed in Scandinavia and the British Isles. It is still played as Merrels in France and Mill in Germany. Players take turns placing their pegs onto the board, trying to place three pegs in a row. After placing all three pegs, the player can moving any of the three pegs to an adjacent hole. A player wins when only two of his or her opponent's pegs are left or when his or her opponent can no longer move a peg. This jumping board game originated in northern Europe during the Viking Age. Players could move either the one fox or the 13 geese to vacant adjacent spots on the board. Players could move in any direction. The player moving the fox piece could jump another piece and remove the jumped piece from the board. The player moving the geese pieces could not jump; however, the geese could surround the fox and keep the fox from jumping. The fox tried to remove all the geese or leave just five or less geese, the number required to capture the fox. Solitaire was a popular game played by sailors on the Fox and Geese game board. The sailors would place ship's nails in every space on the board, leaving the center space open. The sailor could then jump one nail over another, removing the jumped nail. The object of the game was to remove all the names, ending up with the last nail in the center space of the game board. This forerunner to chess was played in the Scandinavian countries as well as in the British Isles and Germany. It was played from 400 AD until the 17th century. Players would move pegged pieces around on a board with eighteen squares in each direction. The game was played by two people who were each given a contingent of "tablemen", a type of pawn. Only one players would have a king. This game board is believed to have originated in Egypt and was then adopted by the Greeks and Romans. The game board was designed as a serpent spread across the board. The serpent is arranged into three rows each with twelve spaces. Players moved their ships from the home harbor, into the open ocean, past an island with a ship repair yard and then into the final portion of the journey where the players could form blockades while trying to avoid shipwrecks. If the players could successfully maneuver their ships through the serpent, a ship had the possibility to exit the serpent's mouth and pass into Valhalla. The first player to remove all of their ships from the serpent was the winner. The forerunner of this game, called Pachisi, was a favorite game in ancient India. During the British occupation of India, the game was taken back to England and eventually evolved into the modern game of Parcheesi. The players take turns throwing the dice and entering their counters into brightly colored sections of the game board. This jump and capture board game is thought to have started as an ancient Arabic game. The game was then taken to Europe when Spain was invaded by the Moors. Each player had twelve playing pieces which he or she threw onto the game board at the beginning of the game. Players took turns jumping and capturing other players' game pieces. The game ended when one player had lost all of his or her game pieces or was unable to move. This board game gives three to five players the opportunity to play through various scenarios which are presented by playing cards. The board is designed as a map and depicts several of the powerful countries and entities of the 13th century in Europe, North Africa and the Middle East. Players use map cards and power cards to gain control and eventually win the game. For over thirty years this classic role play game has given players the opportunity to enter a very complex world of demons, dragons and a variety of other evil characters. Many additional scenarios of the game are available along with game accessories including weapons, tools, action figures and story-telling items such as magic tools. Many gamers enjoy the glory and turbulence of the medieval times, enjoying the many characters, spells, battles and story lines. Although these games are not historically correct, they certainly can provide an afternoon or evening of enjoyment and fantasy. Whether you want the simplicity of the ancient board games or the adventure of the modern board games, medieval games can be a fun addition to your game library.